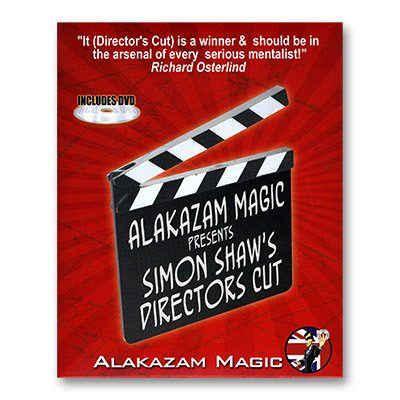 Director's cut is a set of 26 full-color, laminated movie poster cards that are designed to be used with a number of mentalims routines. They can be used for mind reading (i.e. you think of one of these movies and I'll read your mind), drawing duplications, remote viewing, predictions and whatever else you can think of! Consider them more as a versatile prop than one specific trick and you'll end up with some great presentations. The cards are well printed and very good quality. You also receive a DVD which features several routines using the cards.